The staff has always been friendly. The maintenance staff however, is pretty pathetic. They are lazy and do not fix anything. They probably are not paid enough because they have no motivation. The carpet is old and in need of replacing or a deep clean. However, compared to other apartments in Bowling Green, this is the nicest I have seen. I renewed five here another year so that should say something. I love the space that Copper Beech offers! It feels like I am growing up so much by being off campus while having my own bedroom and bathroom. I am so glad I chose to live at Copper Beech! I enjoy living at Copperbeech. The apartments are very spacious and are pretty good quality. However, the insulation is very poor and living in the downstairs portion of the apartment is very cold in the winter. I love having such a big living space! Some of the furniture in my unit has been falling apart since I moved in but that is expected with used/rented furniture. Pretty mediocre place to live. Rooms on the ground level are very cold. Can't survive without a space heater which drastically ups the electric bill. Area is right outside of town, so that is nice. You still have access to a lot within a short drive. But cheaply built and and appliances are way outdated. The last star is missing because of the noise on the weekends. Other than. That it's a great place to live. I really enjoy the exercise room and equipment. Copperbeach is very nice. Everyone there is very nice and I can’t wait to live there next year! The apartments are nice and the amenities are awesome! Copper Beech is a great location. It is close to campus and secluded from other areas. I like how it is its own community. The apartments are very nice and comfortable. Was an awful experience moving in. Apartment was TRASHED (they said they replaced the carpet and cleaned up....but carpet was covered in dog fur and everything was a complete mess). Staff was slow to fix issues and was very rude to us and our parents. They are still not the nicest staff when in the office. My unit still smells like smoke and dog (which I am allergic to both). Overall, a very bad experience and I would not recommend living at this place. I don’t live at Copper Beech yet, but so far I’ve had great experiences. My current roommate and I are so excited to live there, we love the apartment, the community, and our future roommates. The community is great! Employees in the clubhouse are friendly and smiling every time I go to the office. They are great about package pickup and keeping your belongings safe. Maintenance is always very helpful and willing to figure with any problems. Only critique is I wish there was better insulation on the windows and doors. In the winter time you can feel cold air seeping through and our front door seems to have a slight gap in it. Kind of wish they had a pool as well! The community is great. The homes are large and nice. The rooms are huge and the staff is nice. The shuttles to campus are also convenient and a nice feature. Although I don't live in copper beech until next semester, I stay here with friends a lot and I absolutely love it. Everyone is friendly and I feel safe living here. My resident experience has been incredible. I love living at Copper Beech. The whole town home is very spacious and comfortable. I feel like it's a real home not just a living space. Friendly employees who are always helpful. Nice apartments that come with many amenities. Great community with great people all around. Great experience. Copper Beech has been an amazing place to stay! It is a great price for the space you get! There is also a shuttle which is very convenient for students. It’s really worth the money living here. The amount of space you get and the extra things you have access too really make it nice! I really enjoy it here! Not the best place to live. If I could love out now I could. I wouldn’t recommend this place to any of my friends. I look forward to my new place everyday. Copper beech is definitely a place for people who like to party and have fun. For those of us who enjoy a little more peace, this may not be the place for us. I really like the room and having my own bathroom is amazing. A big kitchen is a must for me because of how much I cook and my friends come over all of the time to hang out. I love living at Copper Beech! Staff is so nice and personable! Maintenance always gets things done quickly! Very impressed and the prices are great! 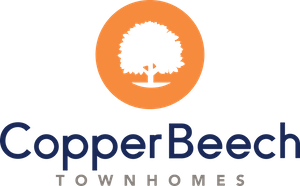 I have had the chance to experience the living situation at Copper Beech, and I am incredibly impressed by the insanely good value of a lease in terms of abundance of amenities and positive things. Thank you so much! I enjoy the community! Many different people live there, and it’s a great time in the clubhouse! Love the workers they are nice and caring! I enjoy living there!